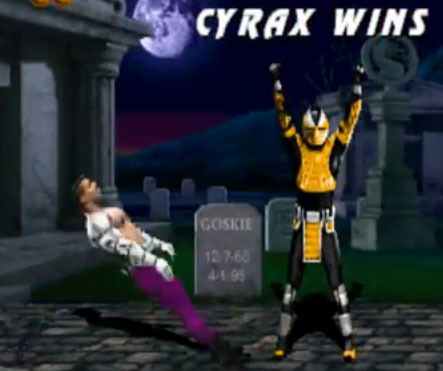 Cyrax Wins – Jax Suffers! 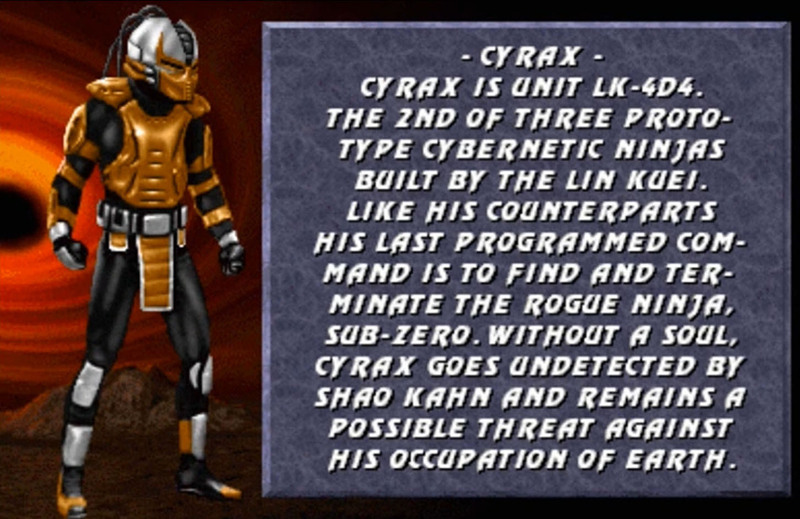 Cyrax was one of the new “Cyborg Ninja” which were introduced in Mortal Kombat 3. 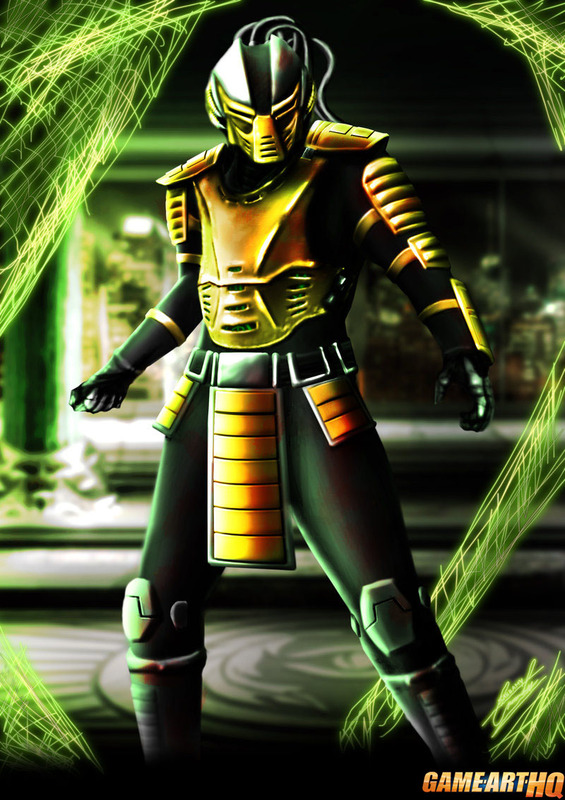 He was formerly a human and a member of the Lin Kuei Assassins with the mission to find and kill Sub Zero who left the clan before. 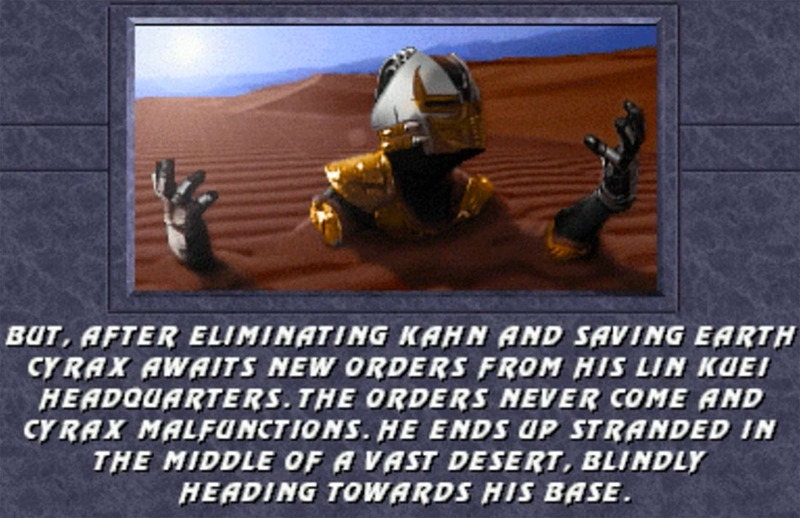 According to his MK3 Bio he has no Soul and remains a possible threat to Shao Kahn and his forces. 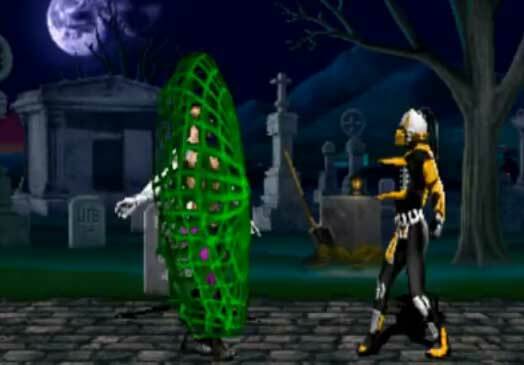 He got one of the most interesting special moves in a fighting game at the time with his “Laser-Net” which caught the opponent for a second to allowed Cyrax to attack a defenseless enemy. 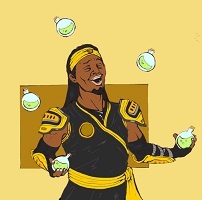 Unlike Scorpion’s Spear Throw, his Net also catched Opponents in the Air. 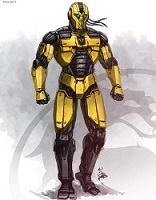 Cyrax was also able to place small bombs which where coming out of his body either nearby or in a distance which allowed a very strategical gameplay with him. 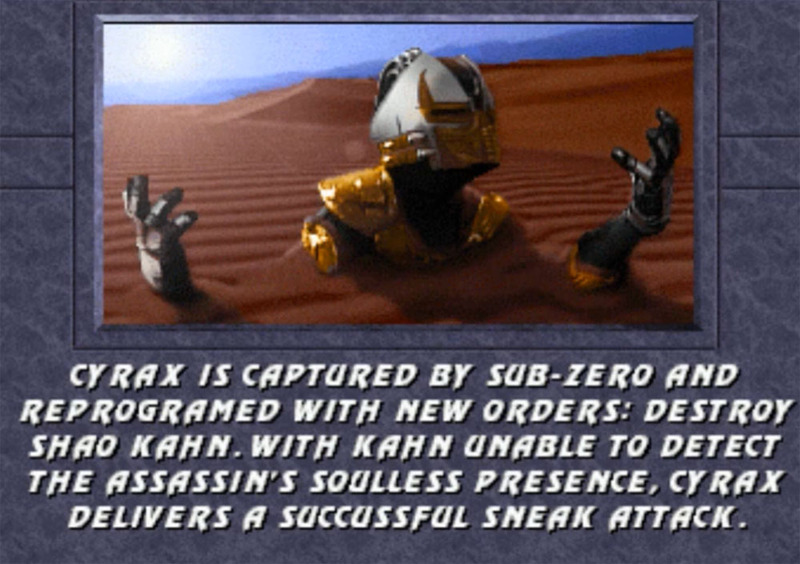 Last but not least, Cyrax was also able to execute an air throw and to teleport himself similar like only Rayden and Kung Lao at the time.